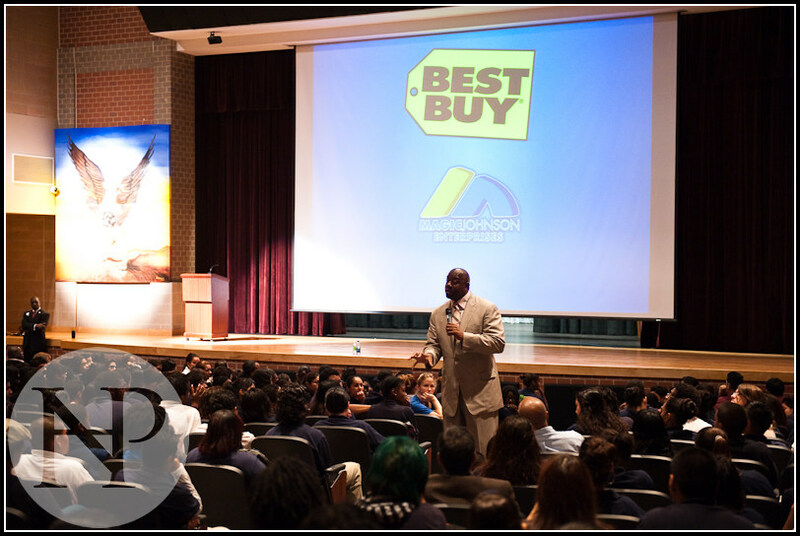 Magic Johnson came to town late last week to speak at Bell Multicultural Highschool near Columbia Heights, and I was lucky enough to be asked to document his visit. I've gotta say, he's a BIG dude! 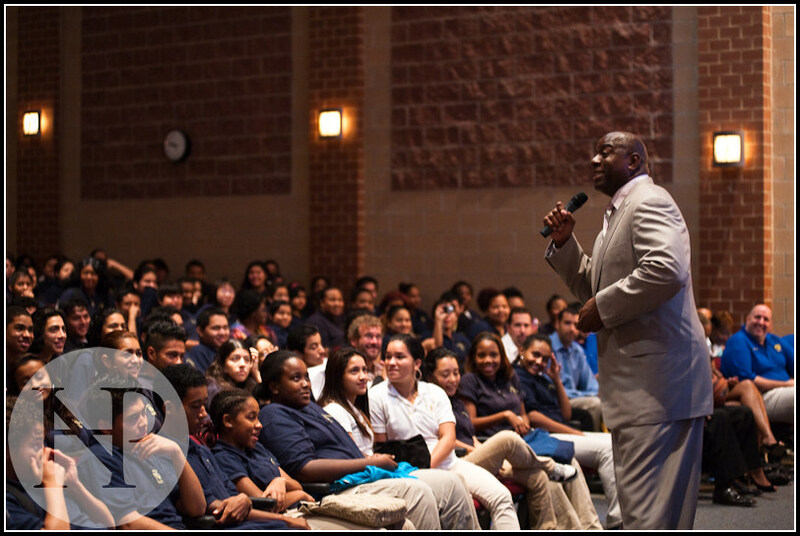 He's also an incredible businessman and excellent motivational speaker! 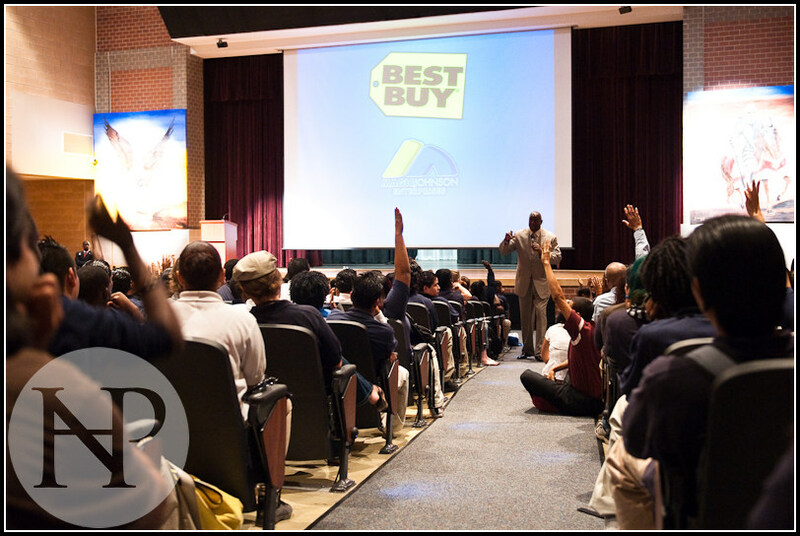 He came to present the school with a Best Buy Teach Award and to announce a partnership that will provide 160 students with scholarships to give the kids the brightest future possible. 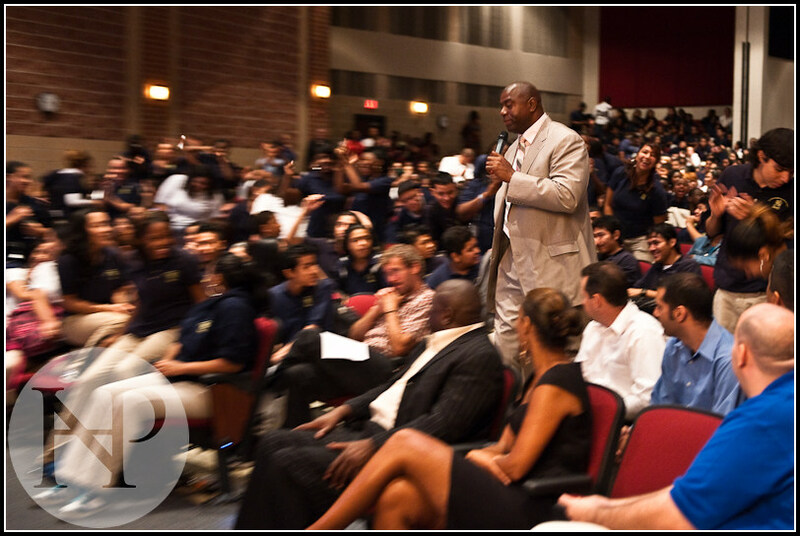 The whole school was ecstatic that he was able to show up, pose for pictures, shake hands, and sign shirts, basketballs, and other memorabilia that students had with them.